If you’re a regular follower, you’ll know how fond I am of stylish tech and gadgets for the home. I love them to blend in to the decor and not jar or stand out unnecessarily. When I was asked to take a look at the Stelle Audio Pillar I was excited to see how this would look in my home, and how it would sound. Isn’t it often the case that one element is sacrificed for the other? A product may look great, but it really doesn’t delivery on its main objective. Well it was time to put the Stelle Audio Pillar through its paces. I think there’s little doubt that the Pillar looks incredible. 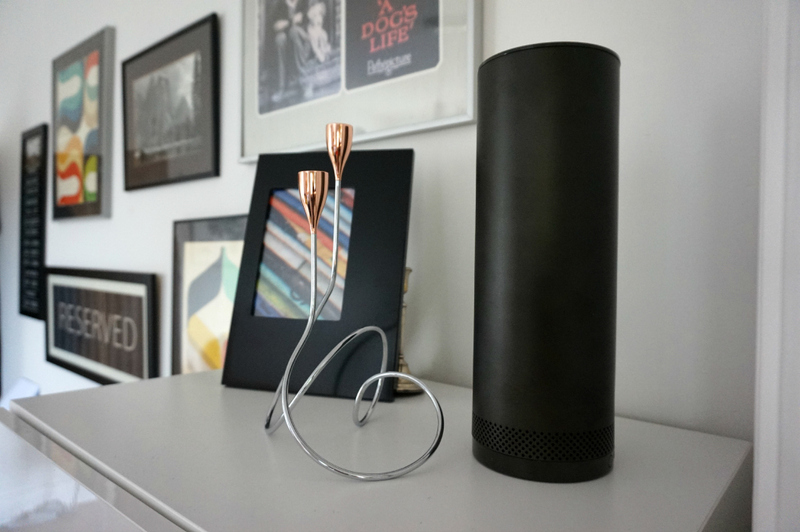 Smart, sleek and minimal, it slots into my home decor really well and doesn’t look like a piece of tech at all. We’ve placed it in the kitchen to start with but have ended up moving it around different rooms in the house as and when we need it. And it looks great wherever it ends up. As you can see, we have it in Black, but it’s also available in Gloss White, Brushed Aluminium, Bronze and Metallic Red, as well as some very funky designs from the Dwell Studio. So how does this speaker work? The simple interface allows you to pair any bluetooth device, like a smartphone or MP3 player, and then easily play music anytime, anywhere. It really is very simple. With 15 hours power time, it’s mobile and portable, and ideal for taking into the garden or onto the patio in the Summer. 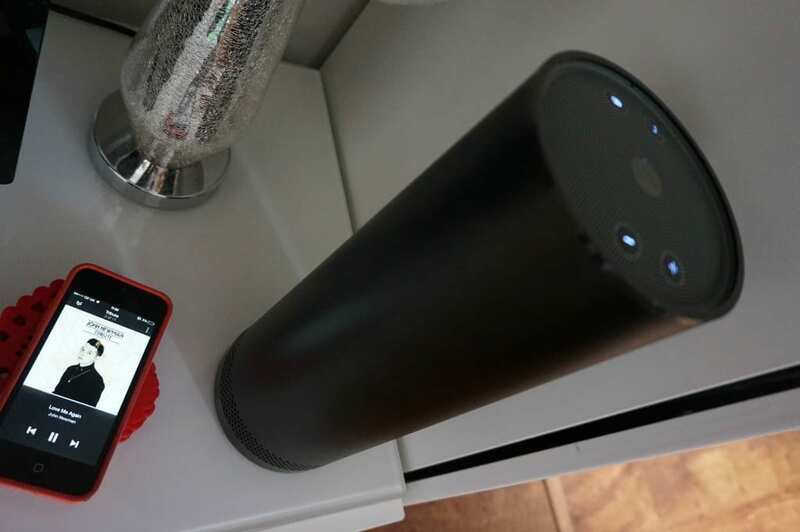 We had a little trouble switching between different devices but that seemed to be more the 10 year old hogging the speaker, than anything going wrong with the unit. Once she’d disconnected and made it available for others, all was well again. The inbuilt Speaker system means you can also use it for conference calls and general phone chat. And tracks can be changed, and the volume altered from your device, up to 50 feet away. So, that brings me to my next point. How appealing it is to everyone in the family. Many a time I’ve found either one or other of the girls using it, to play their favourite tunes. From Disney ballads to Now 80something, we’ve even had some meditation going at one point. 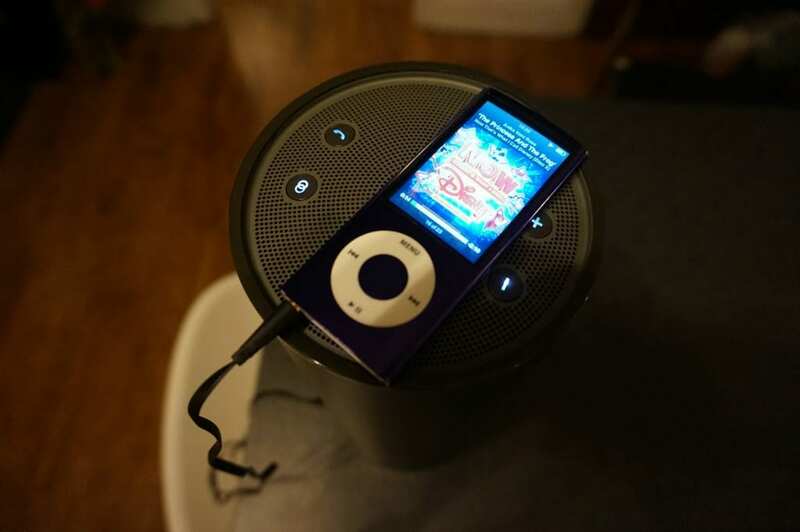 As you can see from the image below, we have an older iPod that doesn’t have Bluetooth capability, but that’s no problem for the Stelle Audio Pillar. Simply use the connector cable to link your device and it works in exactly the same way. 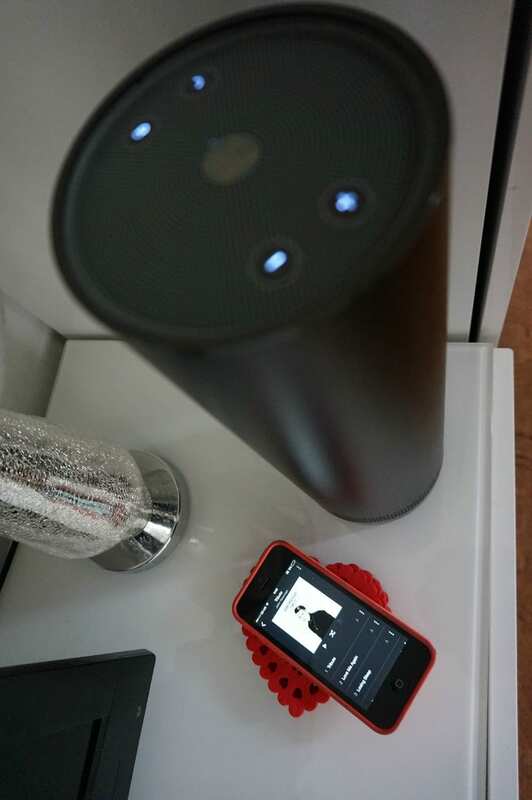 Control your music and the volume from the device and blast the room with your tunes. Finally, I’d like to talk about the sound. I really did think the sound quality might be compromised, with all efforts having been spent on the style, but I was very wrong. I love the rich, warm sound this speaker elicits. Even my other half, who is a true purist when it comes to his HiFi equipment thinks it’s pretty darn good. He does think it needs to be at a decent volume to get the best from it, but quite frankly I’ve only ever had it on at a pretty loud volume! 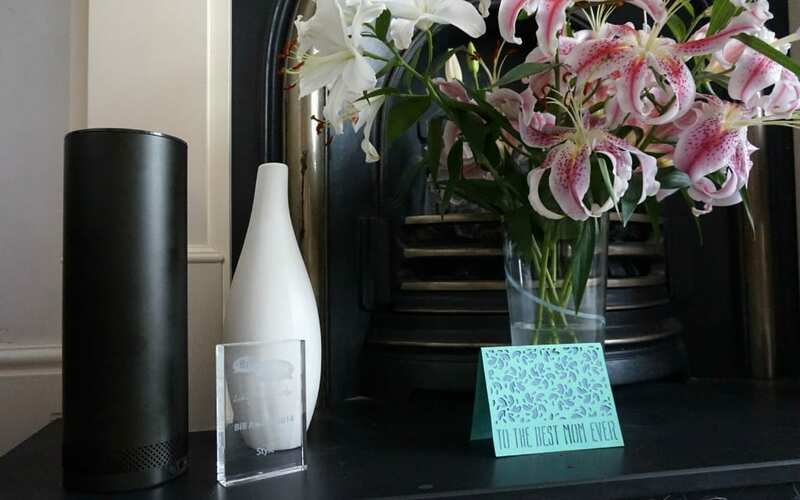 The Stelle Audio Pillar retails for £249, so it’s not the cheapest on the market, but quite frankly, we are pretty convinced it’s worth every penny. What a great gift for Christmas too! If you want to find out more, and check out how to buy yourself one of these gorgeous Pillars, go to the Stelle Audio UK website. Thank you to Stelle Audio for gifting the Pillar for this review. All comments, opinions and thoughts are genuine and my own. I too have one of these, have had for over a year now and I LOVE it. It sounds great AND looks great. Huge thumbs up from me.